Chris is a managing director of BPEA. He manages the day-to-day operations, investment process for all fund and direct investments, and strategy implementation of the firm. Prior to joining BPEA in 2006, Chris was CEO of BuildLinks, Inc., a SaaS collaboration and communication company for the residential building industry. From 1998 to 2003, Chris was a partner at Southeast Interactive Technology Funds, an early-stage, IT-focused venture fund based in Research Triangle Park, North Carolina. Early in his career, Chris specialized in marketing and business development, working with Fortune 500 clients and major advertising firms including BBDO and Foote, Cone & Belding (FCB) in New York. Chris received a BA from Duke University and an MBA from Duke University’s Fuqua School of Business. 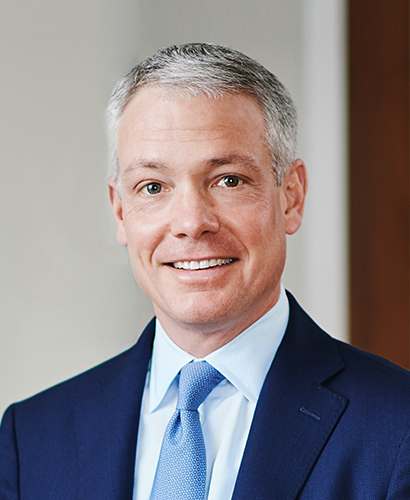 Chris serves on the limited partner advisory boards of multiple private equity funds. He is a trustee of the John S. and James L. Knight Foundation, where he serves on the audit committee and chairs the investment committee, and a trustee of the Meadowbrook School of Weston (Mass. ), a private, nonprofit, co-educational independent day school for students in grades K-8.